CAMARILLO, Calif., May 18, 2017 – Semtech Corporation (Nasdaq: SMTC), a leading supplier of analog and mixed-signal semiconductors, announced its collaboration with Movtek, a leading developer of Internet of Things (IoT) terminal devices and server platforms, in developing a LoRa®-based wearable device that can track the users exact location using GPS technology with the gateway integrated in users’ Smart Home. The technology is currently being deployed in smart watches and bracelets that can be worn by senior citizens and children who need monitoring for safety. The smart watches are equipped with Semtech’s LoRa® devices and wireless RF technology (LoRa Technology) that features long range, low power capabilities. The features enable deep penetration capability for urban environments and indoor coverage enabling a variety of Smart Home and Healthcare applications. The Movtek devices are currently in pre-production and will be available by the end of 2017. 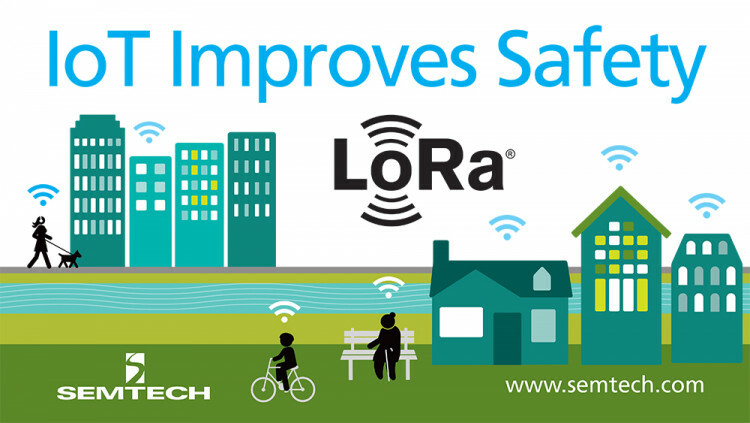 Learn how LoRa enables IoT, visit Semtech’s LoRa/IoT site. Movtek China was established in 2016 and headquartered in Hong Kong and develops Internet of Things (IoT) terminal devices and server platforms. The Company’s mission is to promote IoT technology and develop products with creative application. Dedicated to “energy-saving, safety, creativity” and releases three main product lines: smart life, industry IoT and IoT platform. For more information, visit http://www.iot.mk/.